You just don’t know when big things are going to come from seemingly inconsequential things. There I was shopping at “The Great Wall” when I learned the 5 Secrets of Long Life. Who would have thought?! 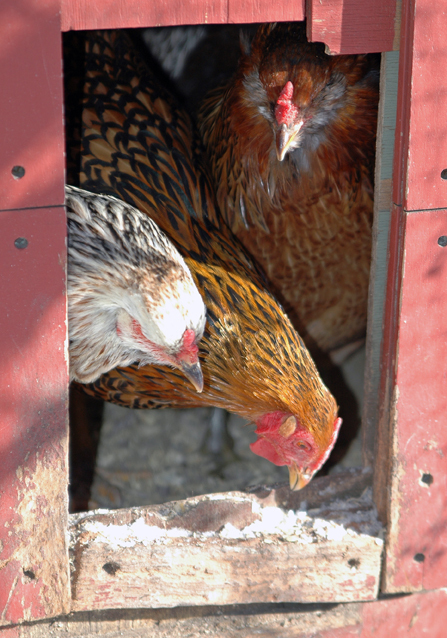 Fearless Farmgirl ~ Are YOU one? 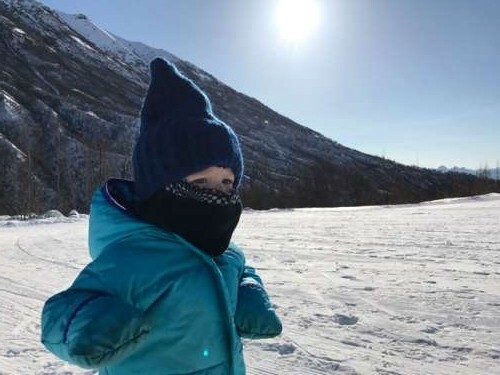 Finding silence in the snowy mountains. Someone recently referred to me on my Instagram account as a Maker. I’ve heard the word used to describe people that I feel are professionals in the creative community but never have I thought of myself in this term. It got me thinking quite seriously about the creative side of my brain that makes me a Maker and what it takes to keep the creativity alive. This is what I’ve learned the last little while as I’ve pondered these thoughts. 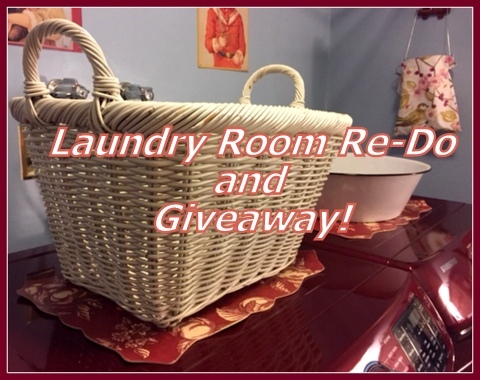 Laundry Room Re-Do and Giveaway! Some things in life are necessary, but not necessarily enjoyable. Laundry’s one, although I don’t mind it. 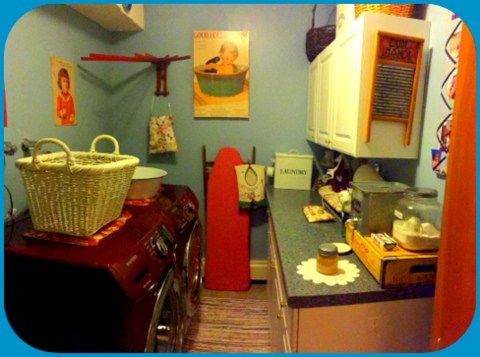 It’s a more pleasant task since sprucing up the laundry room (without a major, expensive overhaul). 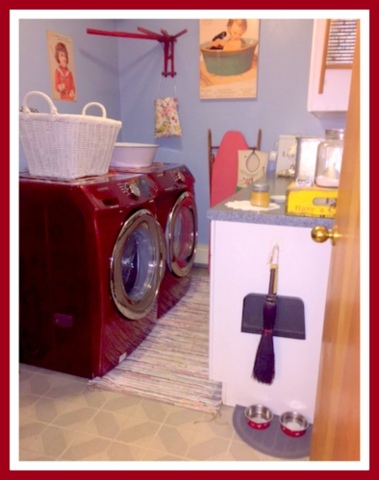 Take a peek at my tips for making a laundry space more inviting, efficient, and “farmgirl chic”! 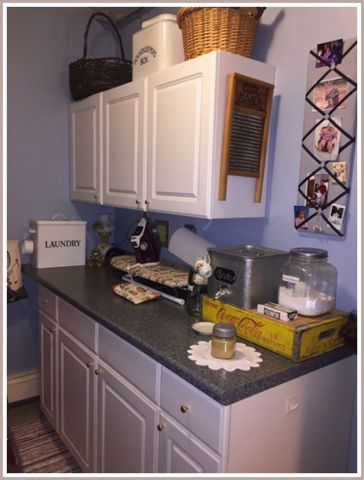 Because our laundry room is off the main living area, we want it attractive, but having an organized, aesthetically-pleasing laundry area, no matter where it’s located, makes chore day better. My family’s only three, but judging from our laundry, you’d think we’re an army! My husband’s allergic to chemicals and starch used at commercial dry cleaners, so we wash and iron all his dress clothes for work. I’m the primary “laundry goddess” of the house. (We’ve suffered enough once-white-now-pink clothes from DD and DH doing washing, so I prefer doing it). My teen daughter helps with ironing, and puts folded laundry away. Growing up, my parents’ washers and dryers were made to last! Nowadays, appliances don’t seem to survive a decade. My husband and I had our set repaired many times, and handy hubby also did repairs, but it was time for a new set since they became inefficient. 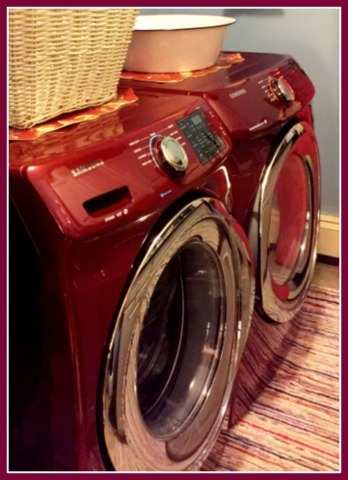 After shopping around for the best deal, we splurged on my dream set- a front loading Merlot-colored washer and dryer with all the bells and whistles! I just adore the deep red, and decided to use it as my main accent color. 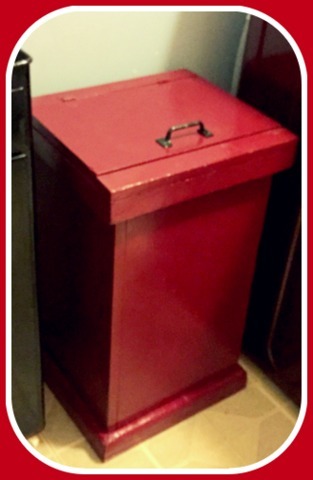 Since we inexpensively added storage cabinets and a counter ourselves years ago, I opted out of storage pedestals. I’m short, so without pedestals the washer and dryer are the perfect height for folding. A wicker laundry basket (Goodwill, $5.00) looks better than plastic and is lighter for carrying. 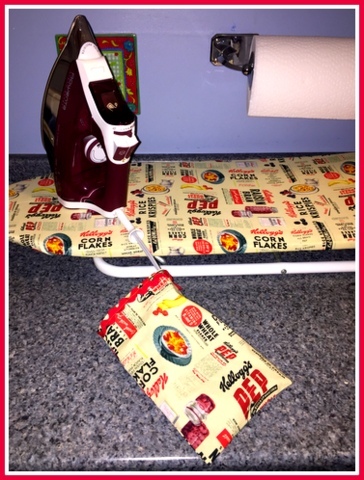 I re-purposed on-hand, matching place mats to protect the appliance tops. In the 80’s, wooden garbage cans were trendy. My dad built me one, but after 25 years, the paint looked worn and dirty, the cow cutout on front dated. Sentimental since Daddy made it, I removed the cow, cleaned the can, and spray-painted it to match the appliances, painting the tired brass hardware a “hammered” look with paint I had on hand. 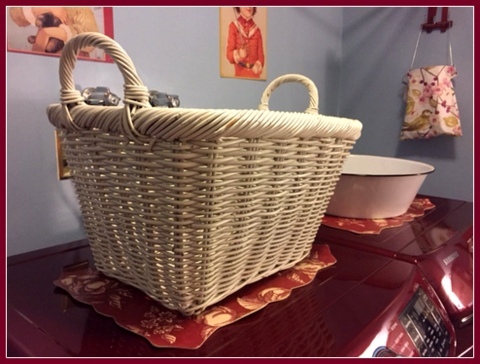 We have hampers upstairs, but a downstairs hamper’s handy for wet powder room towels and soiled kitchen linens. I bought a 1940’s “tole-ware” metal hamper at a tag sale for $10. Inside, I lined the bottom with a “puppy pad” to keep wet items from rusting the bottom. The top of the hamper’s decorated with a piece from my VSM collection: a 1950’s child’s size hand-crank. My mother was gifted one just like it when she was in elementary school, from a little boy with a crush on her. 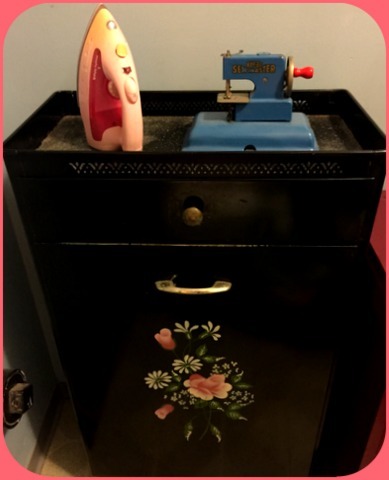 The toy iron was my daughter’s when she was little. 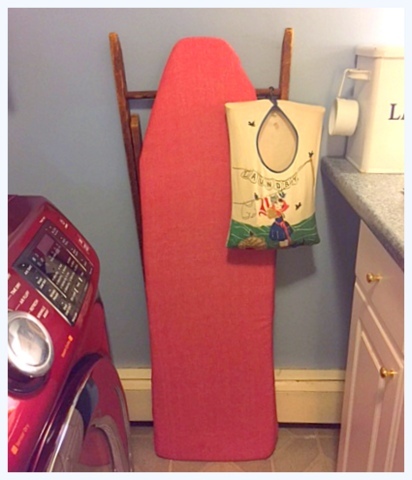 I’d wanted a wooden ironing board ever since I first saw MaryJane’s! I finally found one on a Facebook Tag Sale for $5.00! It’s solid and sturdy. When I went to pick it up, the original fabric was still there, looking new. “It’s about a hundred years old, I think. 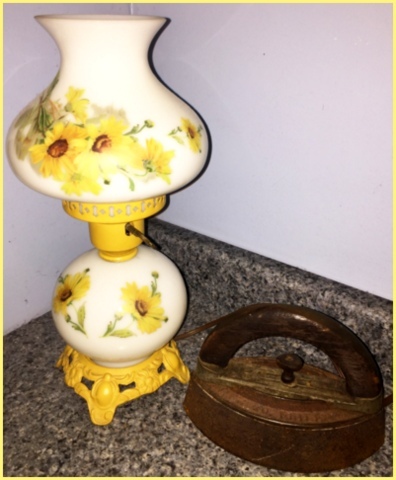 It was my mother’s and she never used it,” quipped the seller. I, on the other hand, use it all the time! 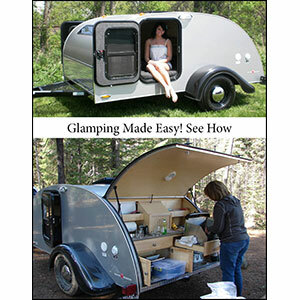 It’s easy to set up and move, has a large work space and isn’t the least bit shaky. I chose red chambray to recover it. There’s a table top ironing board for touch-ups or small items. I recovered it using a fun vintage-print fabric. I sewed a matching cord-keeper bag for when my iron’s not in use. Various bottles and boxes with commercial labels look cluttered. I store homemade laundry detergent in a vintage biscuit jar. 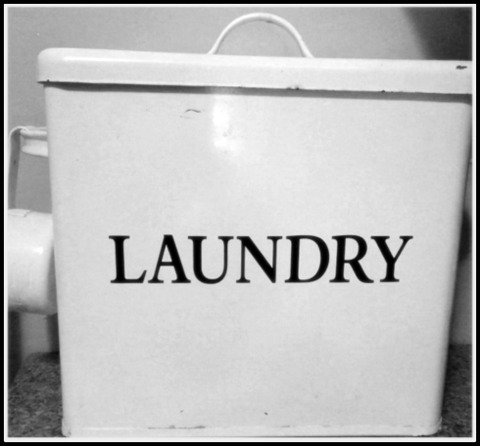 We also use a liquid store-bought earth-friendly detergent, depending on what’s washing. A galvanized beverage holder is easier to use than a clunky plastic detergent bottle. I found mine on clearance for $5.00 at Walmart because the lid was dented, which was easily fixed with a rubber mallet. Vintage flea-market-found demitasse cups measure out the perfect amount of detergent for my high-efficiency washer, while a saucer catches drips. 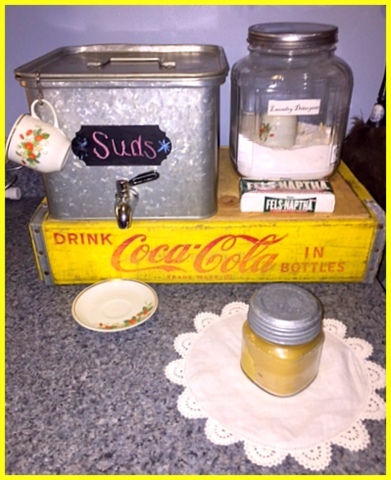 I love to re-purpose old wooden soda crates. I cut a piece of plywood to fit the top for a flat surface, raising the liquid dispenser up for easy use. The windowless room is tiny, so I have to make the most of space. 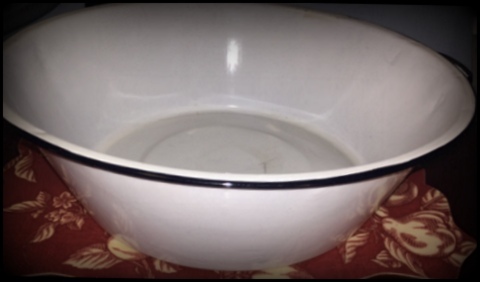 There’s no sink, so I use a large, antique enamelware basin, a bargain flea-market find for hand-washing or soaking. I splurged ($70) on my sturdy antique drying rack with its weathered iron and chippy red paint. 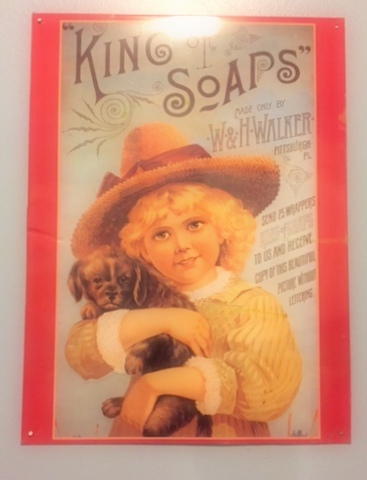 If you can’t find a vintage one, Victorian Trading Co. sells a great reproduction. I adore my pretty clothespin holder, handmade by farmgirl sister Julie Pruett. When the weather warms, I’ll use it on the clothesline, (ahhh….sun-fresh linens!) but it graces indoors beautifully! 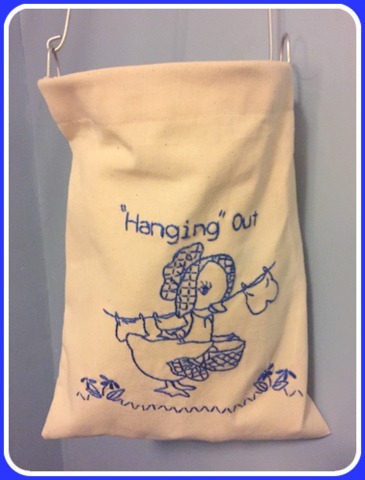 Leave a comment below for a chance to win one of Julie’s creations – this adorable little spring-themed “ducky” embroidered clothespin bag, along with clothespins and a bar of soap for making your own detergent, is up for grabs, made especially for the Suburban Farmgirl blog giveaway! (I’ll announce the winner in the April blog)! Julie’s bags are well-made and great for all sorts of uses! 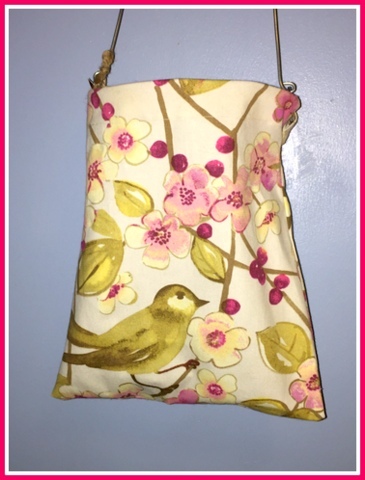 To order, check out her many designs at Prairie Pin Pouch. Decorative touches make a chore area “finished”. 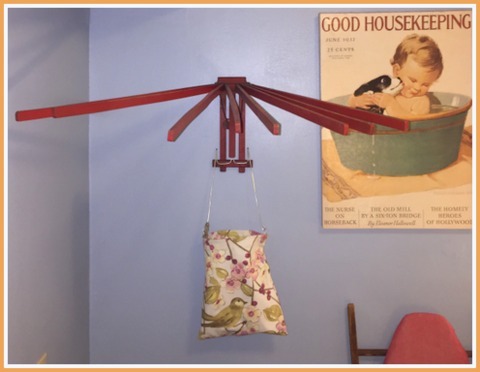 A small vintage lamp (tag sale), an 1800’s antique sad iron, (Goodwill) and a quick-drying colorful rag rug (Ikea) inexpensively tie everything together. 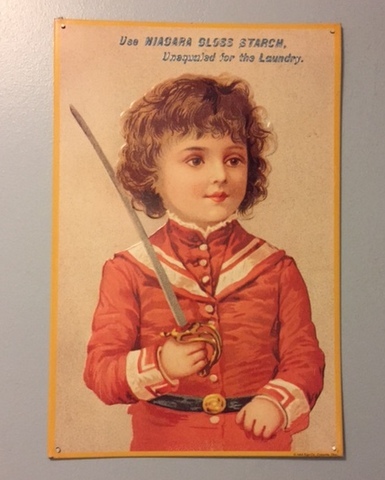 I replaced tired mass-produced 90’s art with cute reproduction tin “laundry” ads found at a local “junk-tique” shop for $10 each (check eBay for similar items). This summer, we’ll add fresh paint, and install a tile floor ourselves (wish us luck)! Any chore is made easier with a tidy, inviting work space. 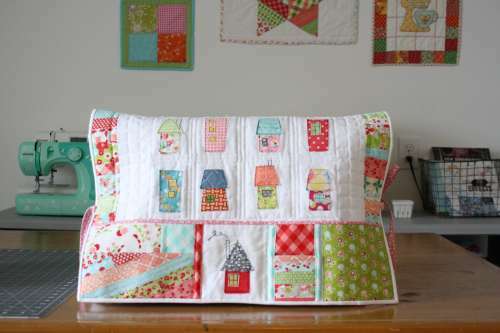 No matter where your laundry area is, cut clutter, add a little warmth and whimsy, and laundry won’t be a dreary task.